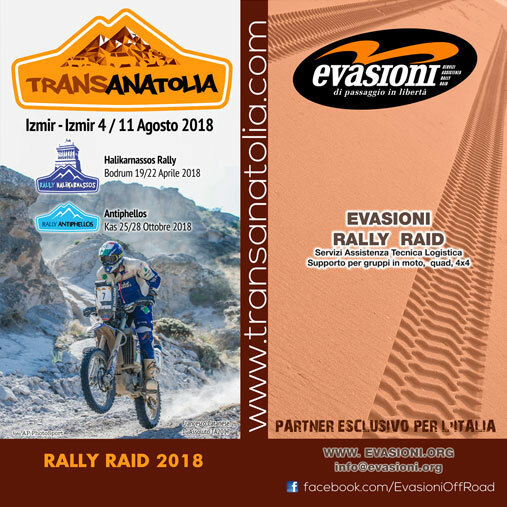 TransAnatolia è un rally-raid che si corre in Turchia. La Turchia è un paese con possibilità ancora sconosciute per il fuoristrada. La scelta dei percorsi è enorme. La gente è molto ospitale, i paesaggi sono belli e con molte diversità, le risorse sono notevoli, alberghi buoni e con ottimo cibo. 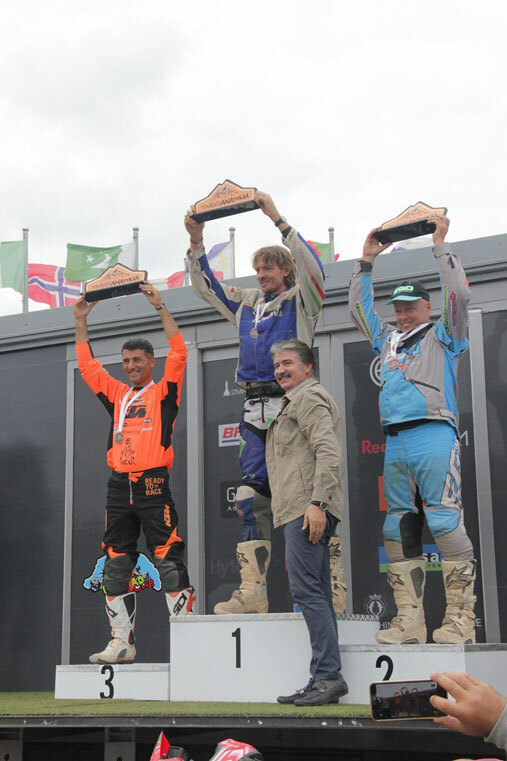 SSV : 1° Gianernesto "GE" Astori/Francesco"Tarri" Tarricone , (1° anche dei 4x4 e 5° assoluti ) - 2° Vito Rampino/Federigo Guglielmi. 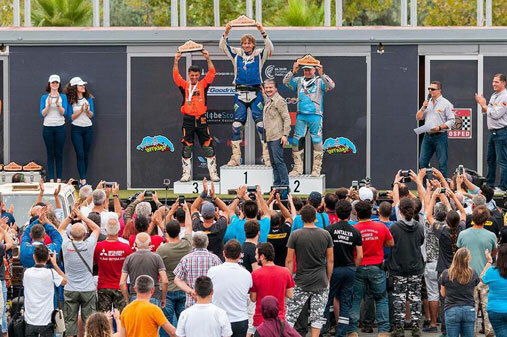 Grazie ai nostri gran piloti, grazie ai nostri instancabili meccanici. Grazie per il bel risultato. Driver's Licence: You must have that because race has Liasons in public roads. Vehicle Registrations: During technical control, our team will check if they match with the car's chasis and engine numbers. Valid Traffic Insurance:You must have that because race has Liasons in public roads. Letter of Consent: If the vehicle owner is a person and one of the competitors, you will not need this document. If the vehicle owner is a person who is not one of the competitors, he/she must write a letter of consent to the rally management. If the vehicle owner is a company, the letter of consent must prepared to the name of the rally management with attached certificate of incumbency; no matter how the owner or signature authorized of the company is one of the competitors. Fullfilled & Signed Entry Form: Please fullfill all the data in the entry form. Write place and date. Letter of Consent: If the vehicle owner is a person and one of the competitors, you will not need this document. If the vehicle owner isa person who is not one of the competitors, he/she must write a letter of consent to the rally management. If the vehicle owner is a company, the letter of consent must prepared to the name of the rally management with attached certificate of incumbency; no matter how the owner or signature authorized of the company is one of the competitors. Because of we are using STELLA systems for watching vehicles, you have to pay for an additional 150 EUR for it's rental. Plus 50 EUR for bracket that it will be connected. If you bought a STELLA bracket before, you don't need to pay for another bracket again. 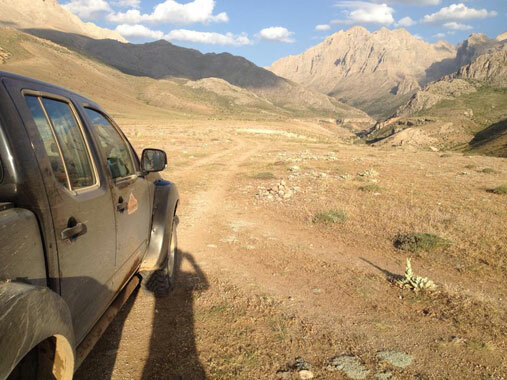 For 4x4 tires, our sponsor BF Goodrich's crew will be there for changing or repairing purposes. If you are using a BF Goodrich, tire change operation will be FREE OF CHARGE, if not you will pay a symbolic price for that action. In an addition to that, you can buy your tire from there and save yourself from some logistics problems. If you can email your tire dimensions and how many tire you want to info@transanatolia.com, we can hold a stock for your car on the field. 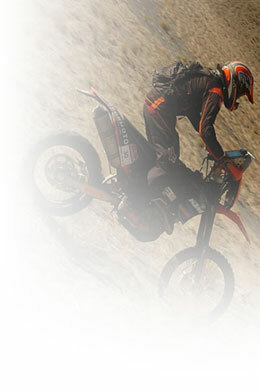 For motorcycle tires, our sponsor Anlas' crew will be there for changing or repairing purposes. If you are using Anlas branded tires, tire change operation will be FREE OF CHARGE, if not you will pay a symbolic price for that action. In addition to that, you can buy tire from here and save yourself from some logistics problems. If you can email us how many tire you need to info@transanatolia.com, we can hold a stock of ANLAS CAPRA-X for your motorcycle on the field. 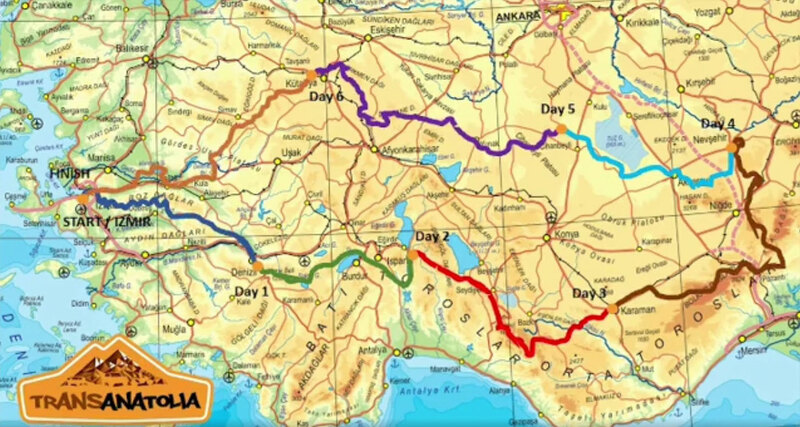 PARTECIPATE e CONOSCERETE le DATE, il PROGRAMMA del TransAnatolia 2018 e quello del BajaAnatolia SERIES. 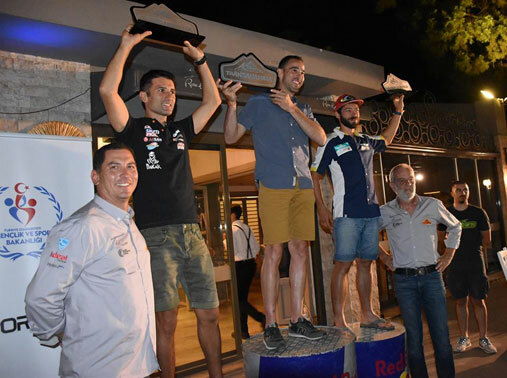 VEDRETE le moto vincitrici del TransAnatolia 2017. 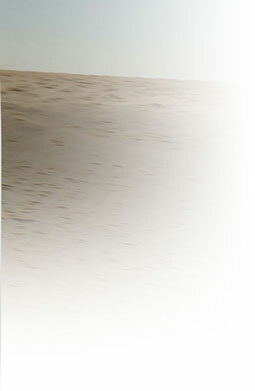 Di Dune Motor AMMIRERETE le ORIGINALI del Team YAMAHA BYRD CHESTERFIELD delle PARIS/DAKAR del '90 e '91 di Neveu,Lalay e Signorelli INCONTRERETE i piloti del TransAnatolia , dell'Africa Race e della Dakar. 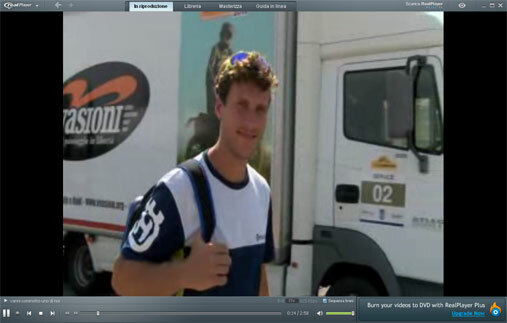 Sabato 20 ore 15,30 incontro con Burak Buyukpinar conferenza e interviste Piloti e ......." calici del buon incontro" !! 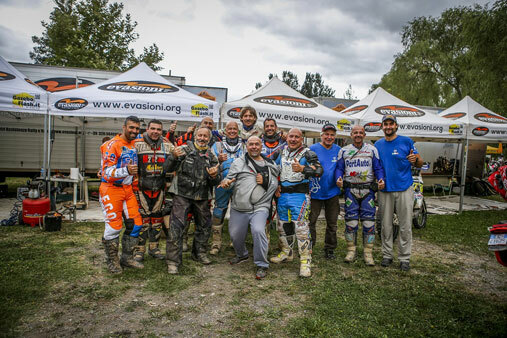 Evasioni Rally&Raid and TransAnatolia S.O. 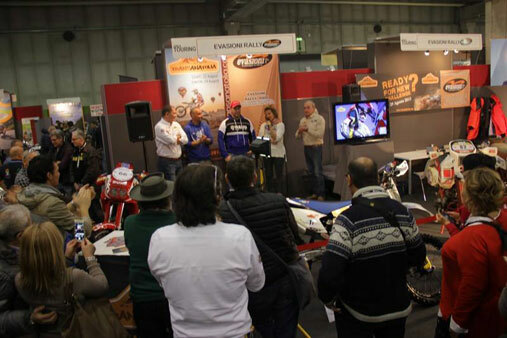 at MBE Verona Exibition. 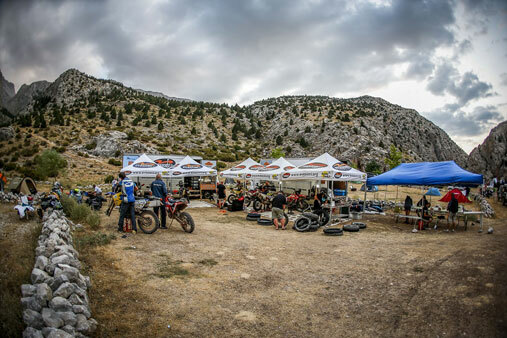 Attend the meeting and learn about the dates and the program of the TransAnatolia 2018 and the BajaAnatolia Series. 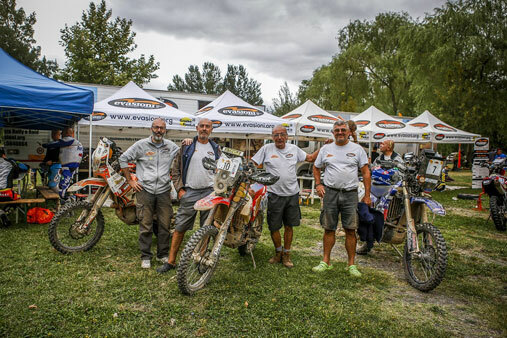 You will see the winning bikes of TransAnatolia 2017. 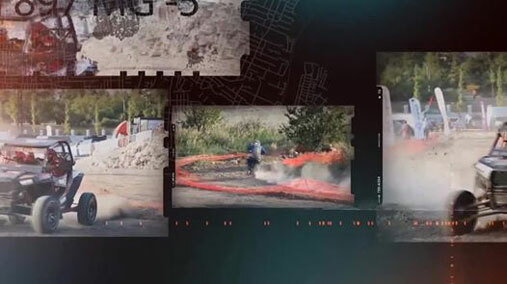 You will admire the original bikes of historic Yamaha Team BYRD Chesterfield of the 90's and 91's Paris-Dakar from Neveau, Lalay and Signorelli. 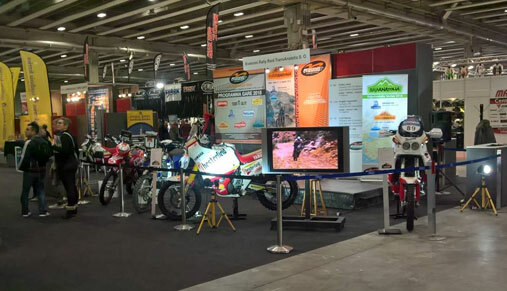 They are bikes owned by Dune Motor Museum now, host of our stand. You will meet the pilots of TransAnatolia,the Africa Race and the Dakar. Saturday 20 at 3.30 pm meeting with Burak Buyukpinar, manager of TransAnatolia S.O. . Conference and interviews with the Pilots....and then....will be offered " glasses of good meeting" !!! Gradisca 4x4 30^ edizione 2015. L'equipaggio Evasioni/TransAnatolia impegnato in uno dei frequenti e profondi guadi nel torrente Natisone. 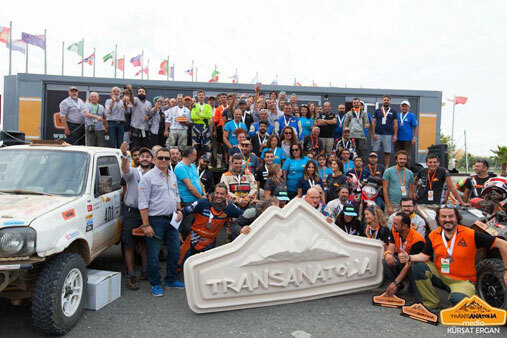 TransAnatolia becomes part of the international cross country calendar of the FIM. 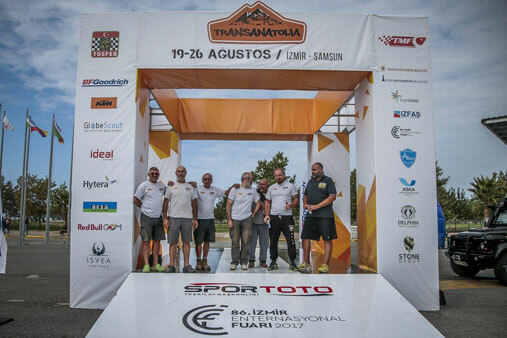 TransAnatolia FIM'in uluslararası cross country takvimine alındı. 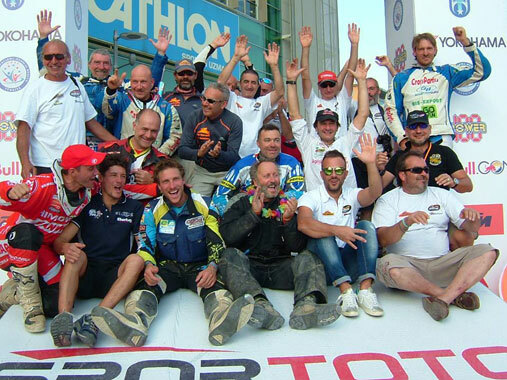 SERENA GHIONE Campionessa Italiana Motorally 2012 e 2013 e Vicecampionessa Mondiale 2012 si è iscritta al TransAnatolia 2014 ! Parteciperà alla gara anche suo papà Luciano Ghione. Si unisce così alle conferme di Alessandro Botturi e Paolo Ceci, Francesco Catanese e Mirco Miotto col suo Team, e altri come Francesco Tarricone e Federico Zurcher e altri ancora.........Mancano solo poco più di due mesi alla scadenza del 30 Aprile per usufruire dello sconto del 20% della quota d'iscrizione , affrettatevi ! !